Our lined Rod Pocket Panels are an easy way to make your windows stand out. Choose from our selection of more than 400 fabrics and any length in one-inch increments. Each panel is 50-inch wide. Panel lengths over 108 inches are also available, but please call us for details. In addition, the Rod Pocket Panels are fully lined with off-white lining, but blackout or thermal lining can be added at an additional cost. These panels come with a 2-inch header and a 3-inch rod pocket, which fits a decorative rod or a 2.5-inch continental rod. A panel with no rod pocket can also be ordered. 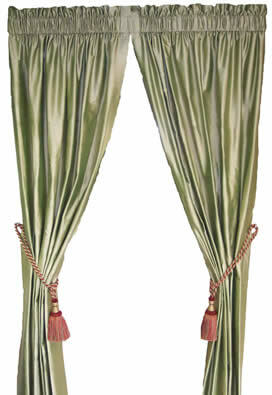 The Unlined Rod Pocket Curtain Panel is a full length design that makes for a cozy home. 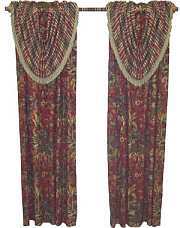 Available in your choice of over 400 fabrics, you can also select any length in 1-inch increments up to 108 inches. Panels over 108 inches can also be ordered, but please call for details. Each panel is 50 inches wide. A standard single window requires two panels. 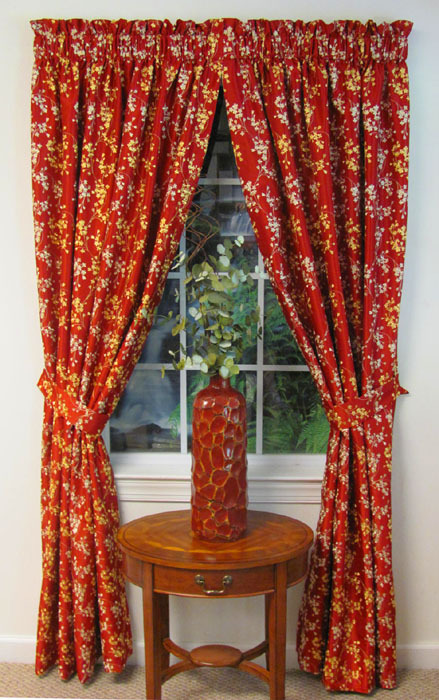 All panels are pattern matched within a single order to ensure your curtains look just right. 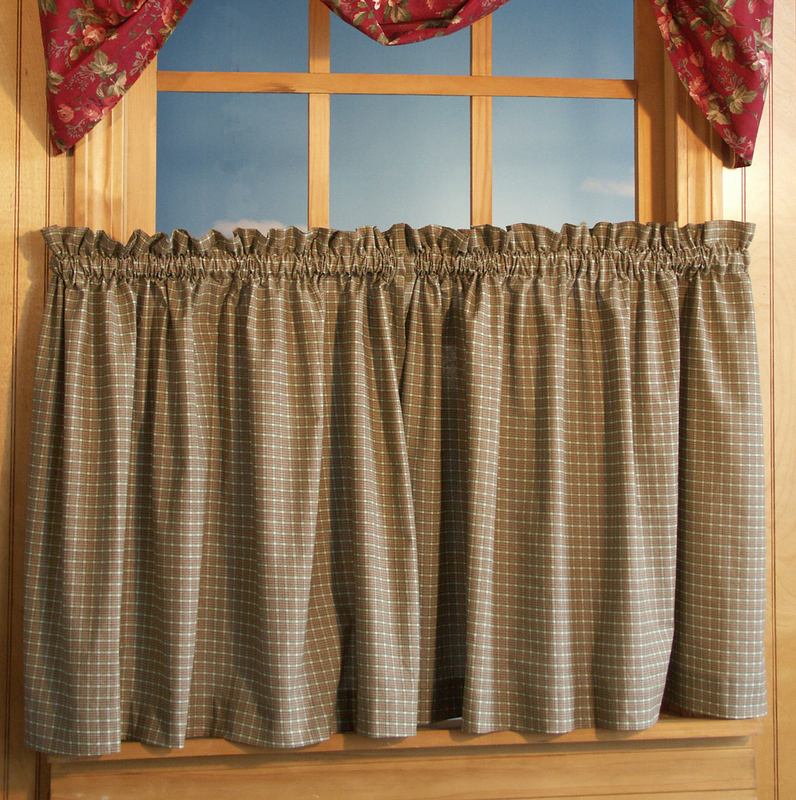 The Unlined Rod Pocket Curtain Panel comes with a 2-inch header and a 3-inch rod pocket, which fits a decorative rod or a 2.5-inch continental rod. In addition, a panel with no rod pocket can also be ordered. 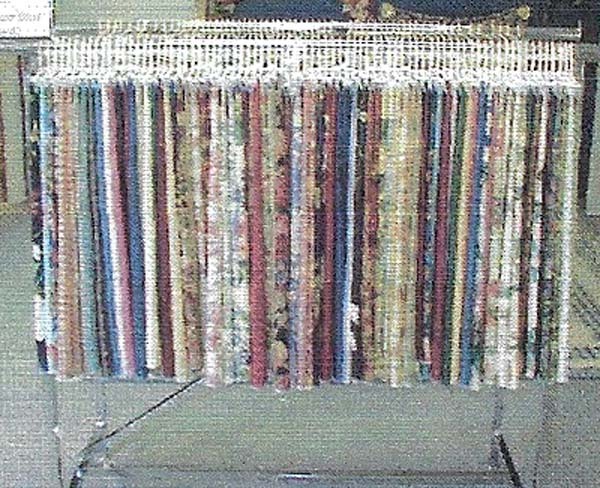 Complete your new window treatments with a pair of custom tie backs from The Curtain Shop. Like our curtains, each tie back is made to order and has literally hundreds of fabric options so you can get precisely what you're looking for. Sold by the pair, each tie back measures 25.5" x 3". The Grommet Panel is another simple style, but one with a playful peek-a-boo detail by the rod. The grommets themselves are available in three finishes: antique brass, brass and nickel. 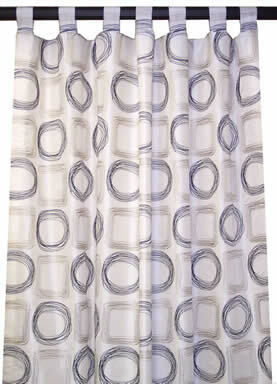 And, like most of our curtains, the Grommet Panel is available in over 400 fabrics. It also comes fully lined with buckram in the heading. But, for an additional charge, it can be lined with blackout or thermal material. Sold individually, each panel is up to 50" wide. Wider panels are also available, but please call for details. In addition, any length is available, but please call for lengths over 108". 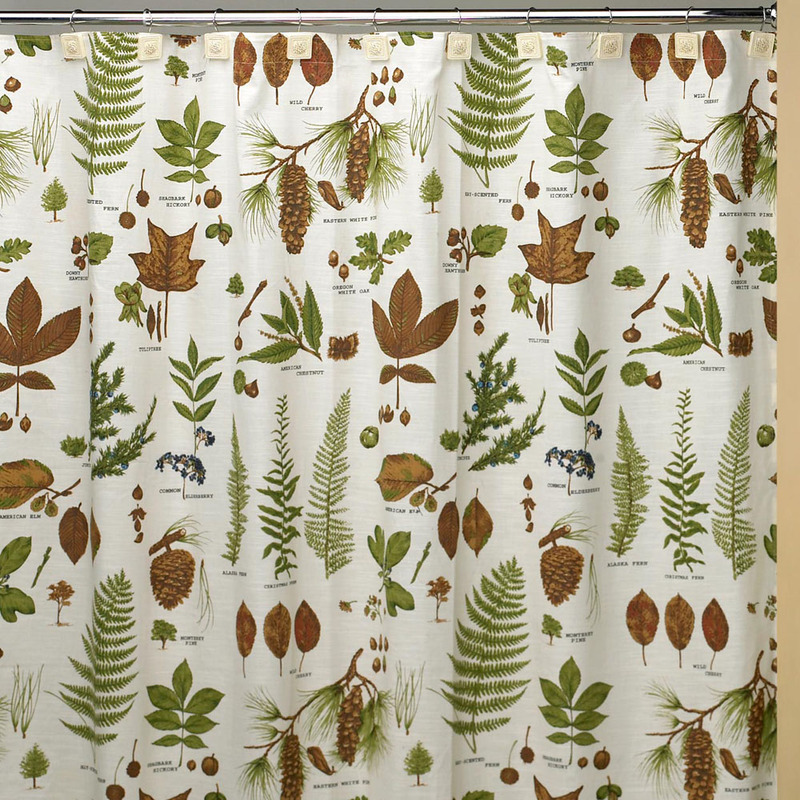 Our Lined Tap Top Curtain Panels are a great way to add privacy and style. Choose from our unbeatable fabric selection to design the perfect look. Each panel is 50" wide and includes seven tabs. The panels may be sewn together, but please call for pricing. 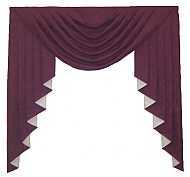 In addition, lengths over the standard 108" are available, but please call to order. Contrasting tabs are also available for an additional fee. To order custom-made Unlined Tab Top Curtain Panels for your home, simply select a fabric and a length and we'll do the rest. Each panel is 50" wide and includes seven tabs. If you need a wider panel, please give us a call to discuss your options. You can also add contrasting tabs if you so desire for an additional fee. The Wilshire Panel is all you need to give your home a truly striking look. Choose any two coordinating fabrics for the panel and the swag overlay. Both pieces are fully lined. Panels are sold individually, so please purchase two per window. The swag overlay includes a tie back with Velcro for easy use. The Wilshire Panel is available in any length up to 108", but please call if you need something longer. The flat panel measures 50". The Wilshire Panel fits any diameter decorative pole. Please Select50W x 25L50W x 30L50W x 35L50W x 36L50W x 38L50W x 40L50W x 50L (+$29.50)50W x 57L (+$29.50)50W x 63L (+$29.50)50W x 72L(+$29.50)"
Our custom door panels are fully lined and includes one center tie back. 1" Header and 1 1/2" rod pocket is sewn in top and bottom. 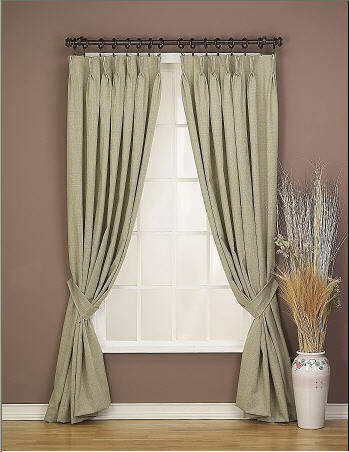 Fits two 1" standard curtain rods or a sash rod pair. 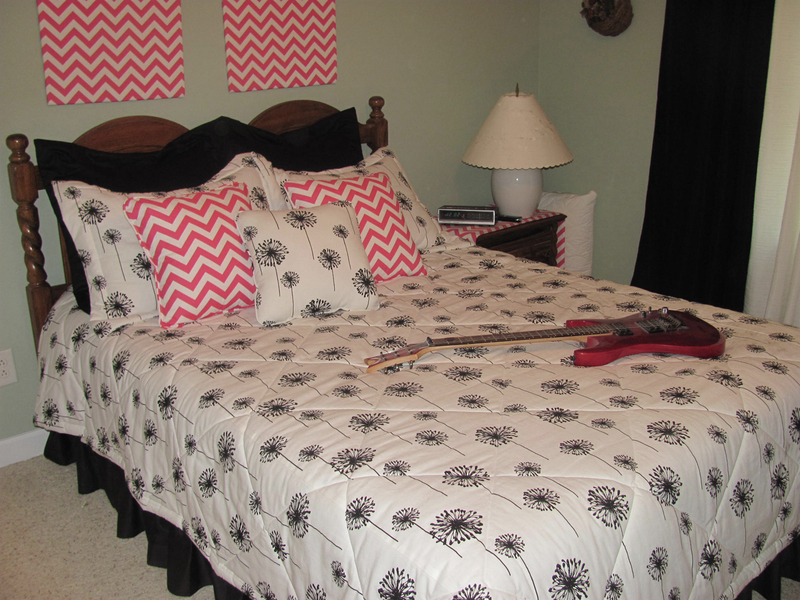 Dimensions: 50"wide with your choice of lengths. Dimensions: 26"w x 68"l 6" Valance Flap Attached 2 1/2" x 18" Ties Attached Velcro Included For Easy Installation Top Picture Shows Panel covering window. Bottom Picture Shows Panel Accordian folded. Recommended In Non-Directional Fabrics (Fabric On Backside Runs Opposite To Face Fabric) Choice of any 2 fabrics. 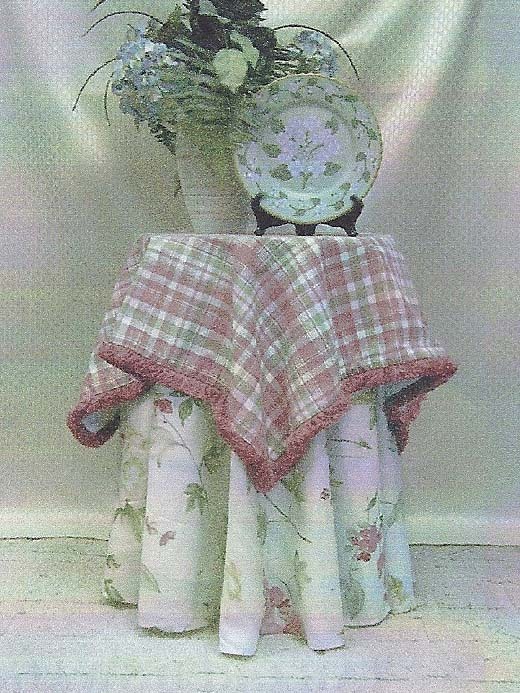 Complete you dining ensemble with custom made table napkins to coordinate with you custom made table runner and place mats. Edges are embroider stitched to match fabric background. Sold separately. Select from approximately 400 beautiful custom fabrics. With more than 350 fabric choices, our Olde Towne Almost Custom Collection includes a vast assortment of truly tailored window treatments ranging from contemporary chevrons and florals to traditional solids and stripes to help you achieve a look that complements and completes any living space. 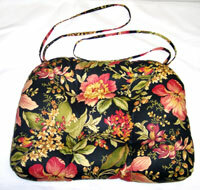 With the highest quality fabric and sewing standards anywhere, these pieces are made to last in the USA. The Curtain Shop's custom curtains, draperies, bedding, pillows and tablecloths add warmth and polish to any space that can't be rivaled. 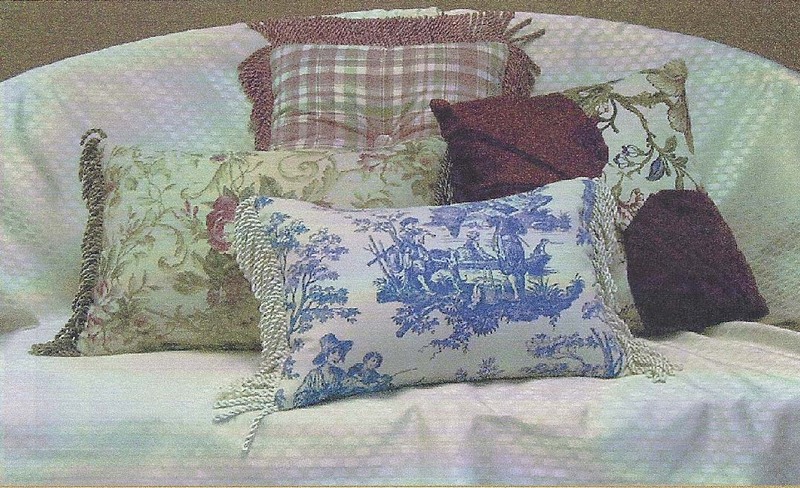 Olde Towne includes everything from custom-made valances to custom throw pillows available in any of our huge assortment of fabric options. Whether you're looking for the ideal almost custom valance or tiered café curtain for your kitchen or bathroom or an artfully-inspired grommet panel or rod pocket curtain for your living room or bedroom, Olde Towne is well-equipped to help bring your precise vision to life. We can also custom-make overlay panels, shower curtains, chair curtains, comforters, duvets and more in this exquisite fabric group. Almost Customs products are made specifically for you, and therefore can not be returned. Exception: Any defect in workmanship can be returned free of charge and replaced. No refunds. Once fabric has been cut, Almost Custom orders can not be canceled. We highly recommend getting a fabric swatch prior to placing your order. Our customer service will happily assist you with sizing and other questions.